If you are in the mood to get lost in beauty, there is a place in Italy where you can do that. It’s called Labirinto della Masone. Parma is a city famous for its historical architecture, the Duomo and the Battistero, home of the most iconic Italian food products, Prosciutto di Parma and Parmesan cheese, is also home of the most famous pasta brand in the world, Barilla. Not far from this extraordinary center is a special place called Labirinto della Masone. 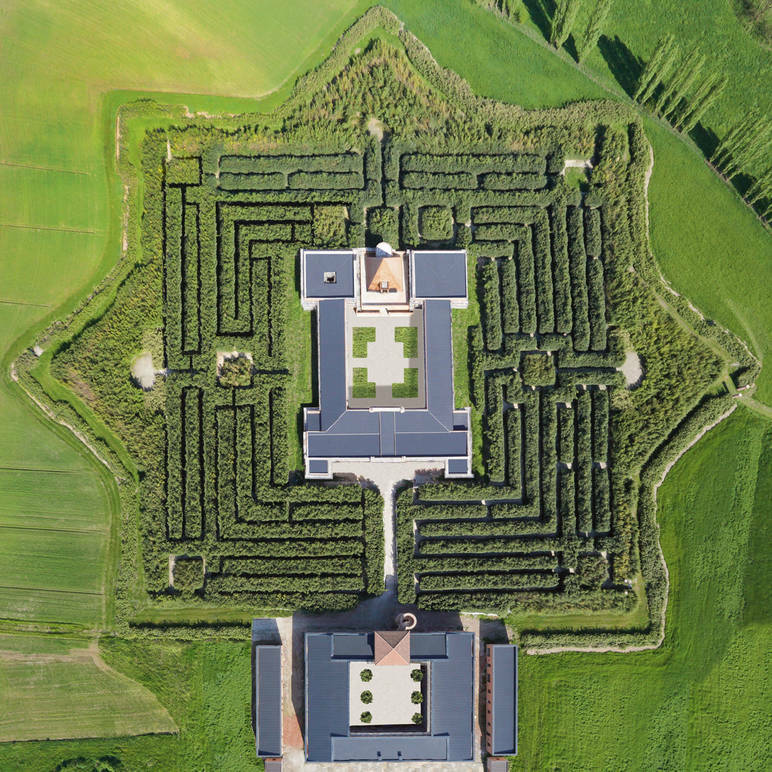 Labirinto della Masone, or in English Labyrinth of the Masone, is a cultural center located 18km away from Parma near Fontanello. It was designed by Architect Davide Dutto and Pier Carlo Bontempi, for Franco Maria Ricci. Franco Maria Ricci is a master of good taste who has perpetrated Italian esthetic values around the world through his sophisticated magazine FMR. He is an Italian art publisher and magazine editor, a well-rounded artist and philanthropist, and has also worked as a graphic designer. Showcasing his magazine in a living room means having a great understanding of good taste. As a philanthropist, Franco Maria Ricci wanted to create a place where he could showcase his private collection to the world. 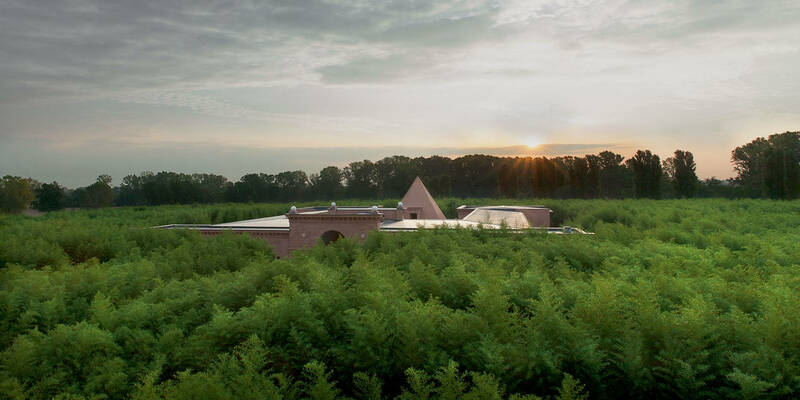 The museum he conceptualized is a stunningly elegant example of a simple architecture made out of red bricks inserted at the center of a star shape property. What makes this place so unique is the labyrinth that surrounds the building. It’s the largest labyrinth in the world, entirely made with bamboo plants; about 200 thousand plants in total were used. The circulating path of the labyrinth is almost 2 miles long (3km), inspired by the classical form of the Roman labyrinth, it includes small traps, crossroads and dead ends. 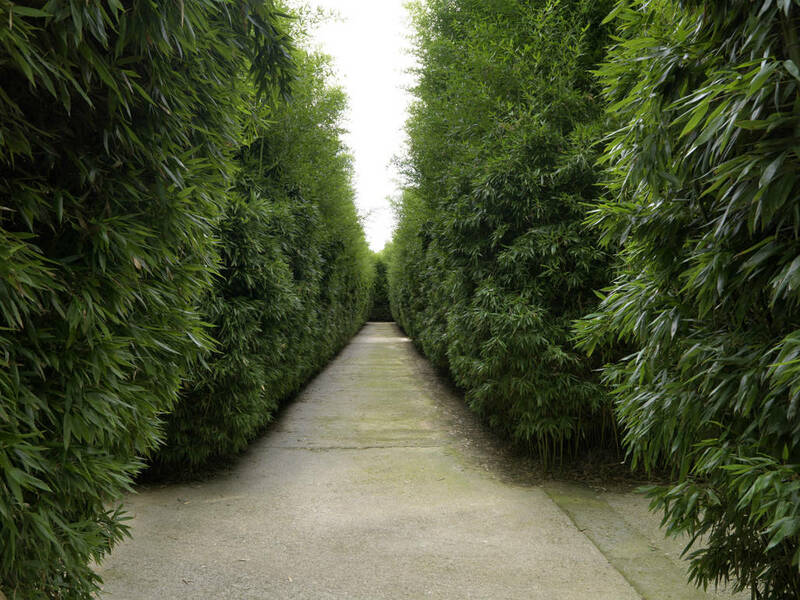 The bamboo plant grows so tall that you are completely immersed in this green world where you can safely get lost. The labyrinth has a powerful energy which lets you leave behind everyday life thoughts and let yourself wander aimlessly through the greenery. 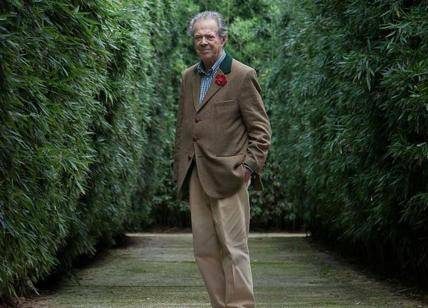 Franco Maria Ricci fell in love with the bamboo specimen when he first planted a small grove in his garden in Milan. The bamboo grew so well, he fell for its simple beauty and elegance. 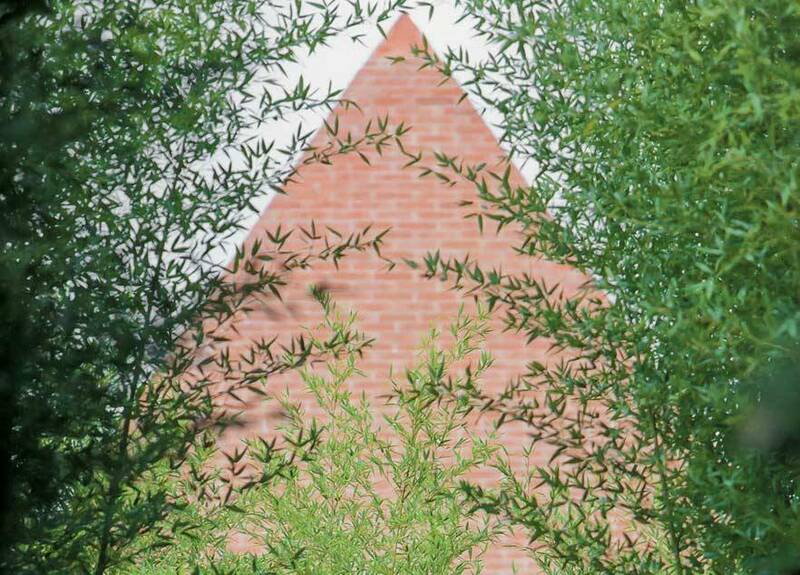 He chose the bamboo as the dominant plant for this ambitious project; it was the perfect choice for a thick vegetative wall. There are approximately 20 species used, the main ones are: Phyllostachys bisetii, with dense and soft leaves, perfect for harsh winters since it is an evergreen. Philostachys vivax is a giant bamboo that reaches 50 ft in height (15m). Phyllostachys aureasulcata has an interesting zigzag stem at the base. Bamboo has a great high rate of photosynthesis, which means that the plant is able to absorb a lot of Carbon dioxide and releases high quantity of Oxygen. This project is a kick start for the beautification process through vegetation. 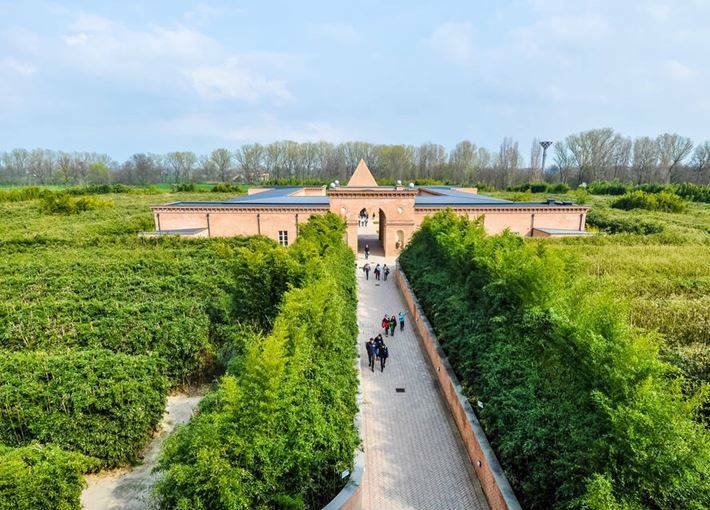 The foundation will help restore the Po valley landscape. The museum offers a rich showcase of Franco Maria Ricci personal art collection spread in 540 thousand square feet. It includes paintings, sculptures, and small artifacts, from XVI century to the XIX century, in total 500 pieces. There is also a library with over 15,000 volumes. This cultural center offers spaces for temporary exhibition as well as private events and concerts. For those guests who want to spend the night, there is the possibility to do so in two exclusive suits. You can also enjoy the coffee shop, the restaurant and the gift shop. Labirinto della Masone, is a successful example where, art, culture, architecture and nature go along together in a whimsical way. It offers a full experience where you’ll never stop dazzling.